A shunt-wound motor is a type fo dc motor in which the field winding is connected in parallel with the armature. 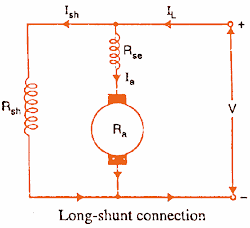 The current through the shunt field winding is not the same as the armature current. Shunt field windings are designed to produce the necessary m.m.f. by means of a relatively large number of turns of wire having high resistance. 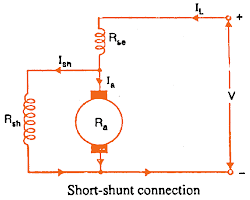 Therefore, the shunt field current is relatively small compared with the armature current. A series-wound DC motor is one type of dc motor in which the field winding is connected in series with the armature. 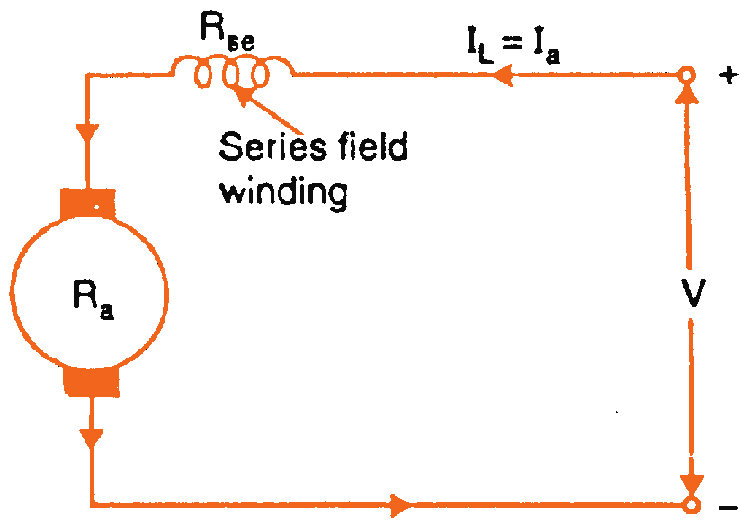 Therefore, series field winding carries the armature current. 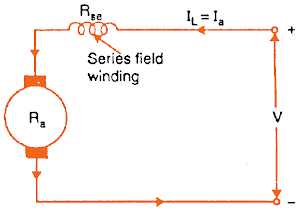 Since the current passing through a series field winding is the same as the armature current, series field windings must be designed with much fewer turns than shunt field windings for the same m.m.f. Therefore, a series field winding has a relatively small number of turns of thick wire and, therefore, will possess a low resistance. the other in series with it. There are two types of compound motor connections (like generators). 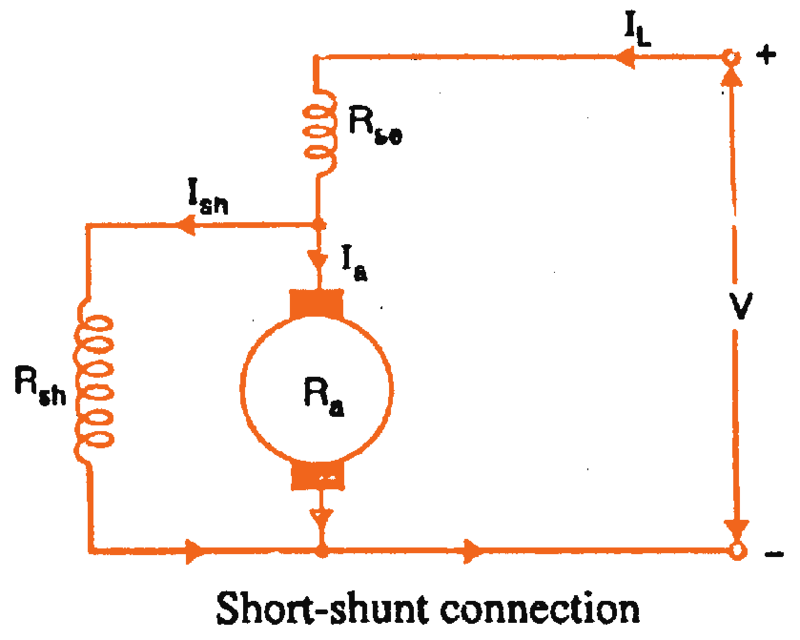 When the shunt field winding is directly connected across the armature terminals, it is called short-shunt connection. 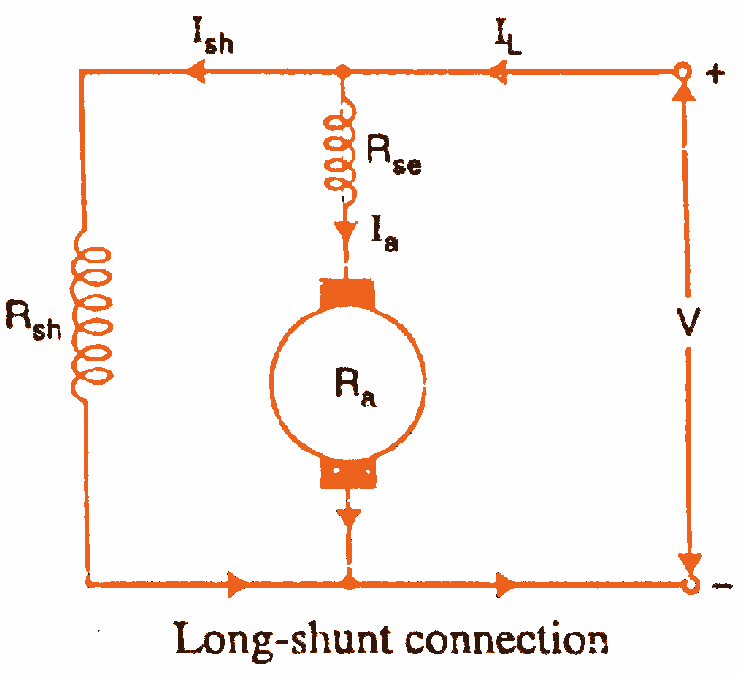 When the shunt winding is so connected that it shunts the series combination of armature and series field, it is called long-shunt connection. The compound machines (generators or motors) are always designed so that the flux produced by shunt field winding is considerably larger than the flux produced by the series field winding. Therefore, the shunt field in compound machines is the basic dominant factor in the production of the magnetic field in the machine. 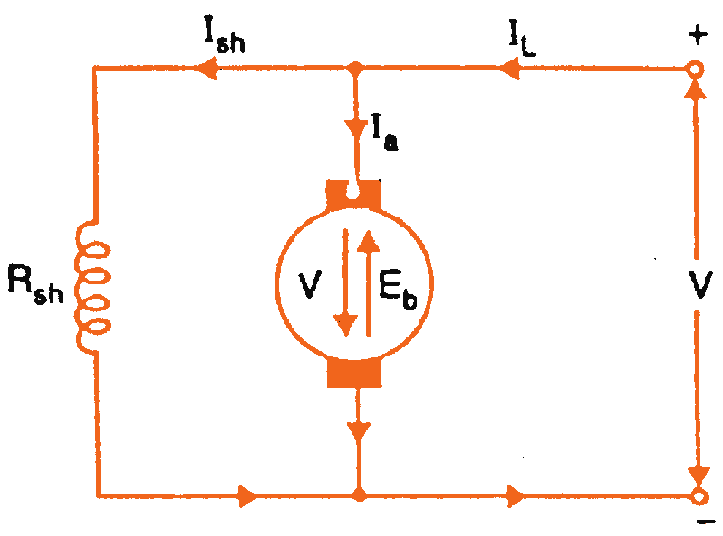 The stator is a permanent magnet, so the motor is smaller in size. A disadvantage is these motors are only used for low torque applications. The rotor and stator are each connected from a different power supply. This gives another degree of freedom for controlling the motor over the shunt.